Scotch Whisky distilleries achieved a record 1.7 million visits last year - up almost 8% on 2015 - and more sites than ever are opening their doors to showcase the skill and craftsmanship of this iconic industry. Visitors are also spending more than before at distilleries. A total of almost £53 million was spent by visitors in 2016, up from last year. And average spend per person increased 13% to £31 from £27. “Scotch Whisky – Scotland’s most popular export - is known throughout the world. It is produced right across Scotland, in some of our most beautiful landscapes and some of our remotest communities. Each distillery is distinctly of its place. Their histories, stories and modern-day craftsmanship fascinate locals and overseas visitors alike. It’s not surprising that more and more tourists are visiting Scotland’s distilleries to see how Scotch is made and to meet the people involved. 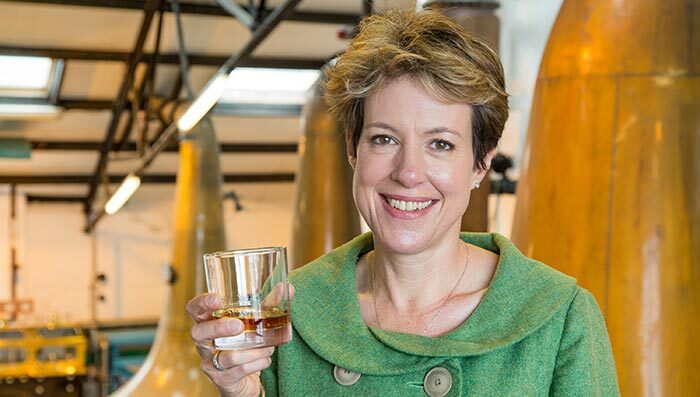 “These figures are certainly good news, showing the esteem with which Scotch whisky is held around the world and the value of the whisky industry to Scotland, beyond simply revenue generated by sales and exports. “It’s wonderful to see that Scotch Whisky distilleries enjoyed a record number of visits in 2016. It’s a testament to the hard work put in by these businesses to give visitors the best experience possible. VisitScotland is committed to working closely with businesses to showcase the country’s rich assets. The findings are based on a survey of a sample of distillery visitor centres by the SWA. Figures given represent paying customers visits to industry visitor centres in 2016.